Case: ABS Plastic 4" x 2.4" x 1"
The Which-Ender™ identifies if a wire is connected to a contact by checking for capacitance. When you press the Which Ender's button, a tone is produced. When the probe tip touches the contact, the tone will drop in pitch if a wire is attached. If no wire is attached, the tone will not change, thus informing which end of the wire needs repair. 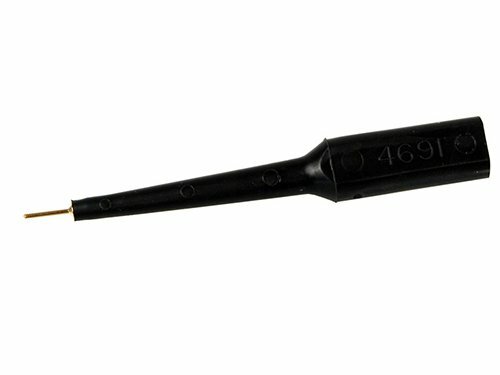 The Which Ender™ is indispensable for locating opens, breaks, and unused pins. For detecting shorts, miswires, and other errors use one of our cable analyzers. 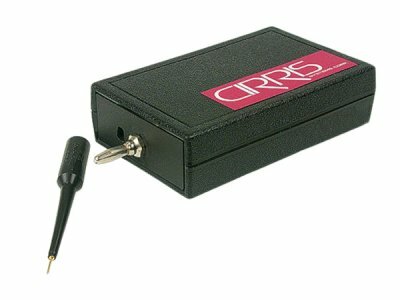 CP-1 Which Ender™ capacitance detection probe.